Pub sized pool tables now on sale for the holiday season. These tables are full pub sized and made by Armada. 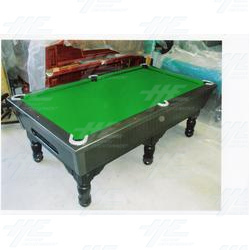 All tables are in good working condition with no holes or noticeable marks including the cloth. Every unit is sold with working coin mech and a full set of accessories. Please note for customers wanting new cloth for their table please add $500AUD.